What's in your store bought shampoo, conditioner, and moisturizers? Flammable Chemicals, Mineral Oils, Petroleum by products, waxes, alcohols, and lots of water to dry it out. No Kidding: Read the Label! It's all on there We have natural choices to rid your hair of that nasty chemical build-up. With natural shampoos and conditioners your hair follicles will strengthen, along with your roots and scalp. The natural routine will also stimulate scalp circulation and encourage growth. Our products are also the greener way to go! The shampoos are solid, meaning no empty plastic bottle to throw away.The conditioners are rich, without any water and chemicals to retain your hair's natural moisture. We have Raw Shea Butter for your hair as well, we whip it for you to make it easier to handle and apply to your hair with less mess. Sometimes, your hair has to adjust to a new natural routine. We suggest a vinegar pre-wash, but mixing 1 part of vinegar to 2 parts of water. This will help to naturally get the top layers of chemical residue out of your hair. The solution may be stored in the fridge for up to 2 weeks. 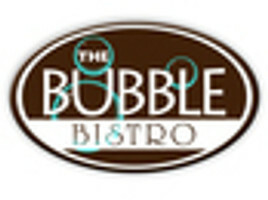 © The Bubble Bistro Capacity theme by Pixel Union, powered by BigCommerce.